Heads up Crest fans! 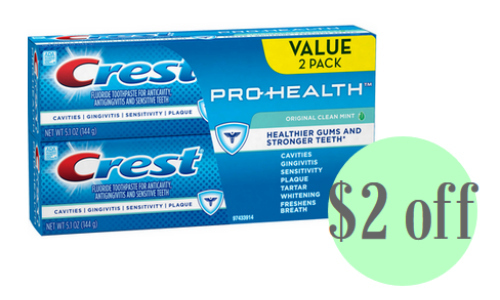 There are 3 new high value Crest coupons out today for toothpaste and mouthwash. Print the coupons you want and pair them in with a sale. Don’t forget you can print each coupon twice per computer.